Custom fitted for your Type V Solar guitar, this sleek and elegent looking hardcase is finely crafted for an excellent fit and ideal protection of your Solar guitar. NOTE: DUE TO IMPORT REGULATIONS THIS PRODUCT IS TEMPORARILY NOT AVAILABLE IN THE USA. Hardcase for Solar Type V guitars. 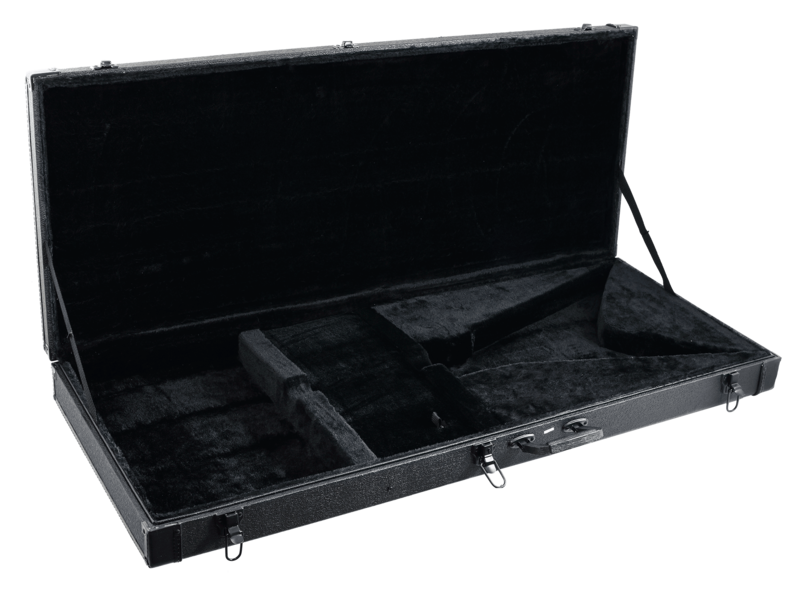 Black wooden hardcase in tolex, custom fitted for Solar 6 string type V guitars only. NOTE: DUE TO IMPORT REGULATIONS THIS PRODUCT IS TEMPORARILY NOT AVAILABLE IN THE USA. Hardcase V 169 € Buy now !